Accelerators and Startups is a recent addition to the entrepreneurial ecosystem, especially, for tech. startups. Technology has enabled many revolutionary startups and some of them have less asset intensity. The traditional system cannot fund or provide support for such new age ventures. Accelerators "accelerate" growth of an existing company, while incubators "incubate" disruptive ideas with the hope of building out a business model and a company. Accelerators focus on scaling a business while incubators are often more focused on innovation. The success rate of admission into accelerator program varies from 1-3%. The following are some of the accelerators in India spread over Bangalore, Chennai, Hyderabad and Gurgaon which are the cities witnessing explosive growth of technology startups. Program-is for 101 days’ mentorship driven entrepreneurship cohort accelerator program for startups. Twice each year, they select up to 12 startup teams (or individuals) and help them navigate the crucial first stage. Selected startups receive financial support in the form of pre-seed capital, work space, IT facilities and other resources. It is India’s first accelerator program dedicated to supporting startups in healthcare industry through funding, mentorship and other requisite support. It is launched by HealthStart & ISB’s human centered design-focused incubator, DLabs. Its a 20 week program providing selected startups with investment capital to develop their ideas further. Freemont is India’s first Global accelerator and incubator, which provides seed funding to entrepreneurs focused on technology driven startups. It provides mentorship, strategic direction and access to local/global mentors and partners. Runs a 13-week program, it aims to provide select startups with unparalleled access to venture and business networks, personalized & intensive mentoring, and initial capital. GSF Accelerator is designed to help product-oriented startups. Kyron has introduced a new concept of pre-accelerator, which will admit about 20-25 startups. Such startups will be put through a six-month incubation period after which Kyron handpick the companies for its accelerator batches. Focused towards promising early-stage startups or first-time entrepreneurs, Microsoft Accelerator runs program of 4 months, starting in January and July every year. , selected startups get strong mentoring, technical guidance and connections to other startups. 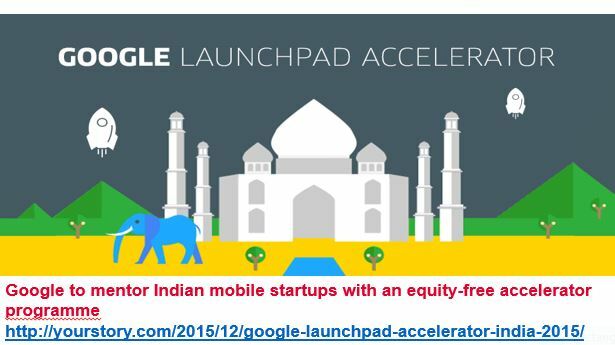 Though not an Indian accelerator, but 500 Startups is quite active in the Indian startup space and has accelerated and invested in a good number of Indian startups over the past 2 years. There are close to 50 startup accelerators in India and interestingly, most of them offer a mix of services - some just focus on mentorship and some on real estate. Few accelerators have just focused on getting the team investor-ready, while some of them provide a lot of soft support (motivational/team building) to the startups. The vast network of mentors, market access and support provided by accelerators has helped in the growth of many startups. The Indian Scene is quite encouraging. The entrepreneurs should have a proven concept and market acceptance before they can apply for the accelerator program.